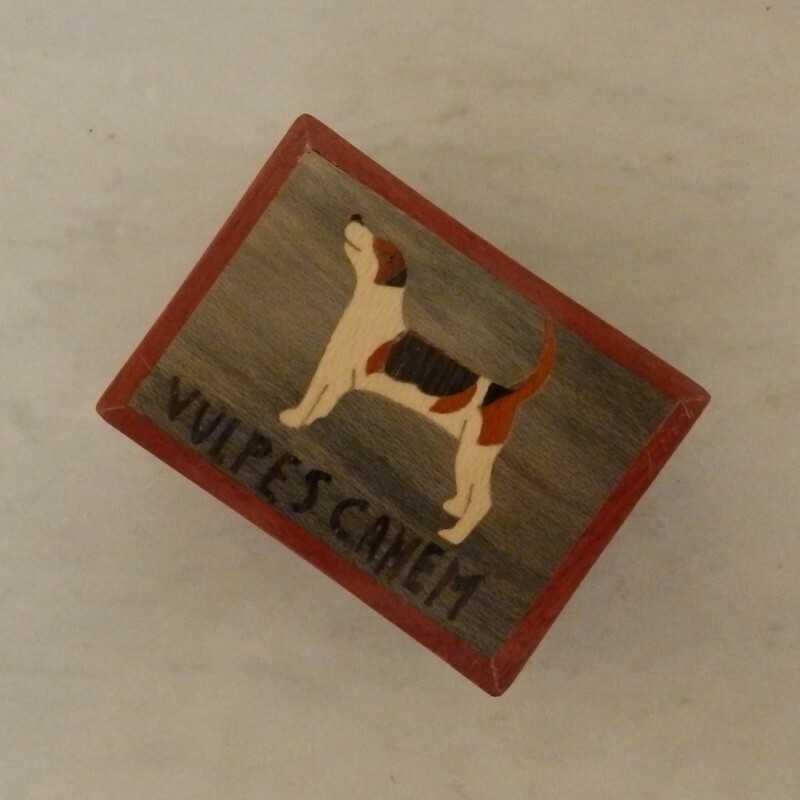 Secret rosewood box with an Fox Hound design on the top, has a clever catch on the base which when slid across opens the design. 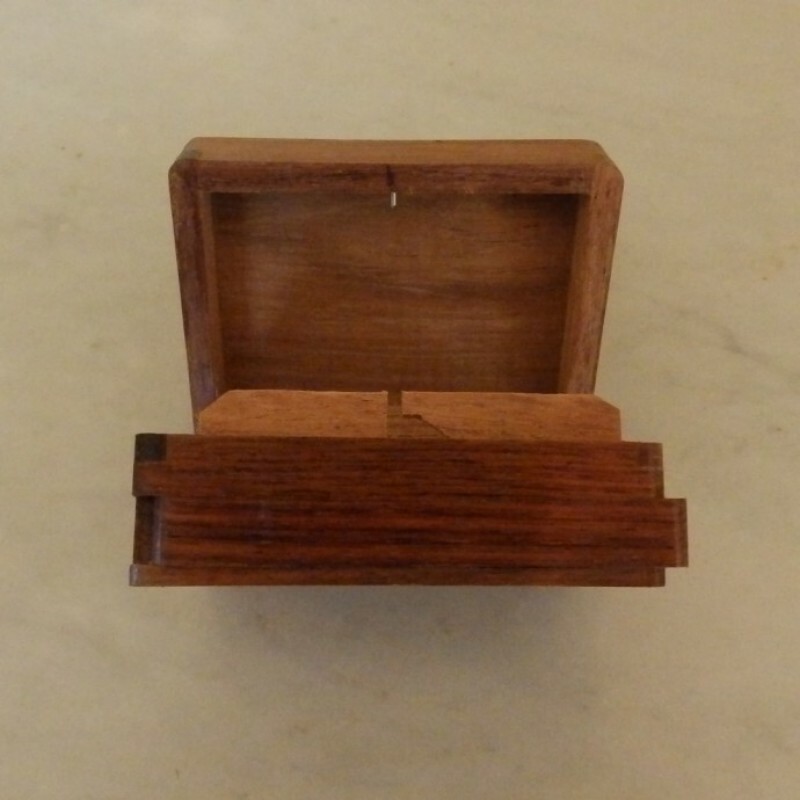 Marquetry is a craft requiring much skill and patience to achieve where colored woods are infused in this case producing a highly stylish and awesome result. Another ultimate yet unusual gift from Fulham Fox.